Russian President Vladimir Putin is on a geopolitical roll these days, despite US and EU sanctions against some of his closest associates. On Monday he recognized Crimea in the wake of its referendum on secession from the Ukraine, despite Western warnings not to do so, and despite severe questions about the accuracy of the statistics put out by Crimea’s rump authorities concerning the alleged turnout and supposed overwhelming vote in favor of seceding. Less noticed was the advance on Sunday of Hizbullah fighters and Syrian troops into Yabroud, the last territory that had been held by rebel forces on the Lebanon border. The rebels in that part of Syria have now been cut off from supply lines in Lebanon, a major victory for the regime. From Yabroud, fighters had been able to infiltrate Eastern Ghouta near Damascus, but that tactic has now been forestalled. Increasingly also in control of Homs, the Syrian army appears to be gradually extending its control north toward Hama and then Aleppo. 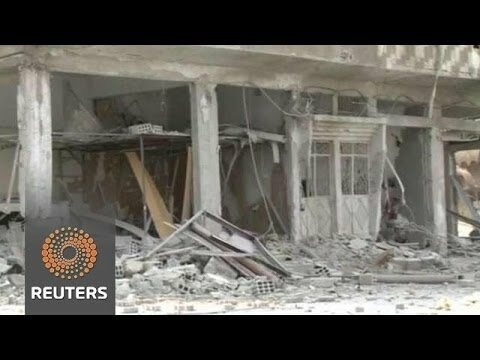 There is no early prospect of victory by the regime, which is stretched thin, but it has inflicted a series of heavy blows on rebel forces in the past 8 months. Some of the comeback of the Bashar al-Assad regime, which seemed doomed only a year ago, derives from money and weapons supplied by Putin. In the current Sunni-Shiite struggles in the east of the Arab world, Putin has in essence made Russia a patron of the Shiites just as it is a patron of the Eastern Orthodox Christians. The fall of Yabroud led many of the rebels based there to flee to the Sunni town of Arsal over the border in Lebanon, which is surrounded by Shiites in the Bikaa valley. The last of the rebels standing in Yabroud had been the Nusra Front, an al-Qaeda affiliate, and the Islamic State of Iraq and the Levant, which has been kicked out of al-Qaeda for being too violent toward other extremist Sunnis. In fact, rivalry between the two and consequent lack of coordination is being blamed by some of the fighters on their loss to Hizbullah at Yabroud. Having any significant number of these elements take refuge in Lebanon itself is dangerous for that country, since they deploy car bombs and other devastating violence against their enemies. In fact, the Nusra Front blew up a carbomb on the Lebanese side of the border in the Bikaa just yesterday. 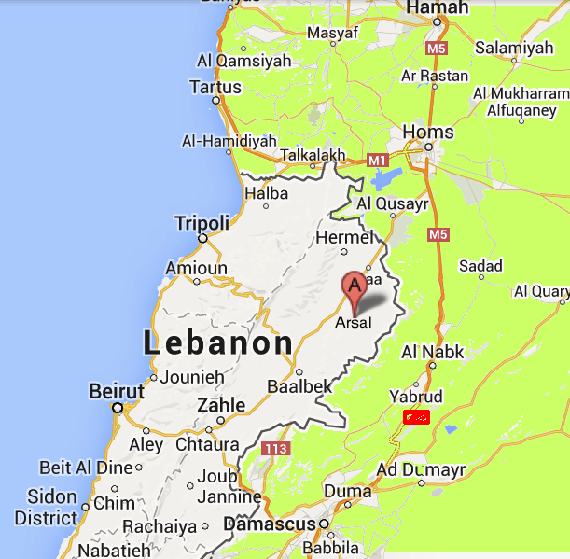 Likewise, it is possible that rebel forces now in Arsal were responsible for firing rockets at other Lebanese towns. Lebanon is finding it increasingly difficult to avoid being swept up in the Syria war. At the same time, some sections of its political class are growing closer to Russia via their Iran connection. Iran on the 12th of March held a triumphant congress of the “Friends of Syria,” attended by parliamentary delegations from Iran, Iraq, Lebanon, Russia, Algeria, Venezuela and Cuba. The Lebanese delegation was from the March 8 coalition of Hizbullah and its Christian allies. Sunni Lebanese of the “March 14 coalition” criticized these parliamentarians for violating the general pledge of “self-restraint,” taken by Lebanese political forces in a bid to keep the tensions over Syria from plunging their country once again into civil war.